This is one of our Sunday morning breakfast favorites. We kind of have a lot of rotating Sunday morning favorites. This is definetely one of them. 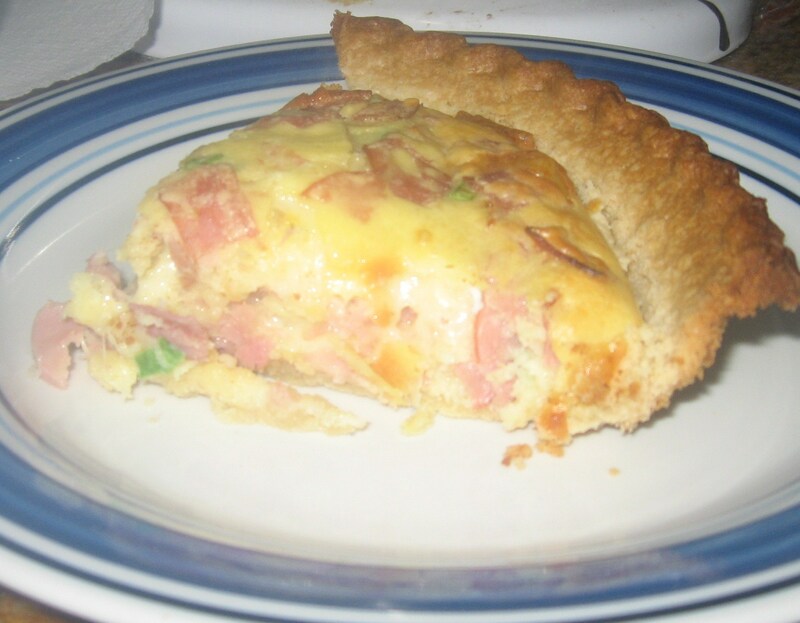 I love the pie crust and quiche combination, and even the kids enjoy it! 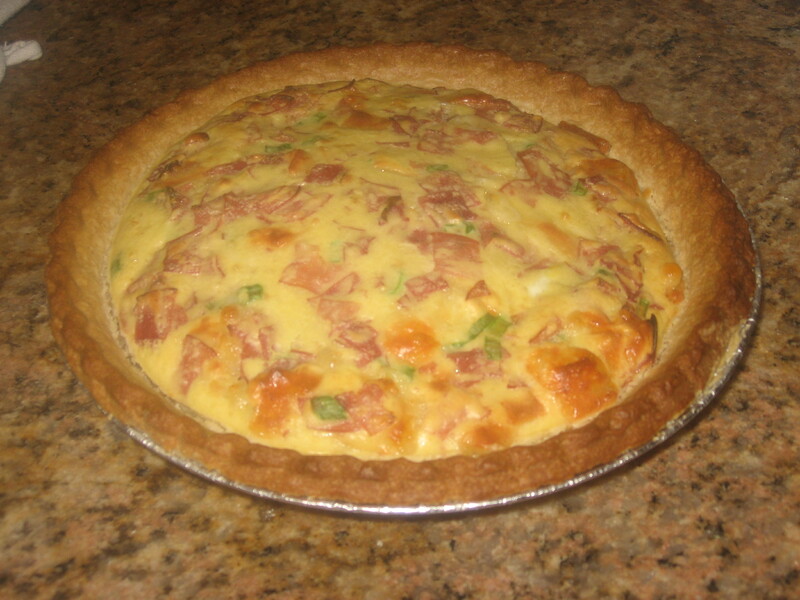 It’s a great quiche for beginners hesitant to try quiche. I’ve never been a big fan of quiche, but this one is delicious. And you can easily substitute turkey or other ingredients in place of the ham. We change it up and at Thanksgiving time throw in turkey, at Christmastime have ham, or I even enjoy vegetables like red, green and yellow bell peppers in mine. You can try a number of fun combinations with this and get a similar result. This is one of those recipes you will want to have for after Thanksgiving, Christmastime, or Easter when you’re searching for meals to use with your leftovers. Mix all ingredients together in a mixing bowl until well mixed and incorporated. Pour mixture into pie plate. Bake 30-35 minutes at 400 degrees until toothpick inserted in center comes out clean and mixture browns on top. Serve with pepper to taste. This recipe used regular swiss cheese. Fat free or reduced fat cheese may be used in this recipe to alter the fat content. What a lovely quiche – looks so appetizing!